It is no secret that I have killed people. I have actively and violently put people to death, and thus I am legally considered a murderer and I have been sentenced as such. I have received many mails from readers who ask me if I will write about these events, and of course I have been aware that I would have to address this topic sooner or later. When I haven't done so thus far, it is because of mainly two things. 2. I have had concerns about the possible legal implications it could have for me if I go into detail about these events, even though I'm aware that the authorities already know all there is to know about it. There's always that small chance that something was never brought on file. But I have decided it is time I do write about this, the murderous part of my past. A Reader, who is also a writer, was kind enough to send me a list of well thought out questions, so I am going to use this as a check list. You have made reference in your blog to when you were 18 and went to prison for murder the first time. Does that mean you have committed more than one murder? Why did you do it? What did you expect to gain? How did you commit the murder(s), what was weapon? Did you plot your murder(s)? What was it like to kill someone? How did it feel while your were doing? Did you know the person(s) you killed? You write that you have always considered yourself to be a "good person", so how do you justify the murder(s) you committed in your mind? Did the ends justify the means or did the person have it coming or did you just make a forgivable mistake? What advice might you give on how not to get caught. If you could do the murder(s) you committed over so that you wouldn't get caught, what would you do? 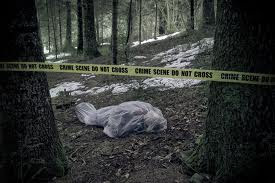 Is there anything else you would like to tell me about the murder(s) that might help me get insight and understand what murder is all about psychologically? I will answer the questions and try to cover the subject as well as I can, and as well as I think is possible while still remain within the borders of what is acceptable, and legal, in the coming days. I will encourage Readers to send me your questions if you have some that aren't listed above. As an 'insider' I am not always the best to see which aspects have the highest interest or importance, to readers when it comes to Murder.